Geodesis is one of those rare finds; that once you have become a Geodesis customer, it will most probably be for life. The company was born from the idea of associating a fragrance with different regions from around the world. A beautiful idea being nothing without a good product! But, that challenge was easily overcome as Geodesis started to produce the most unique fragrances to the highest standards. The company is now over 20 years old and has been developing their know-how in the often delicate process of scented candle manufacturing. 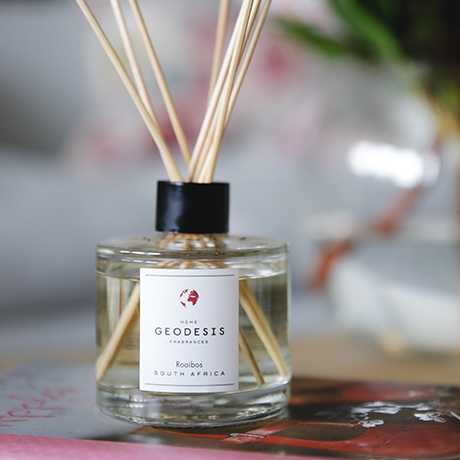 This expertise allows Geodesis to count among the most prestigious brands of home fragrances. As a child, I was fascinated by the subtle scent of nature. During my holidays in Corsica, I used to collect samples of fragrant plants and brought them back home to extend my vacation memories throughout the winter. These childhood holidays and my travels around the world on the occasion of a first professional life as a photographer, have fed the amazed look that I have always had of nature. 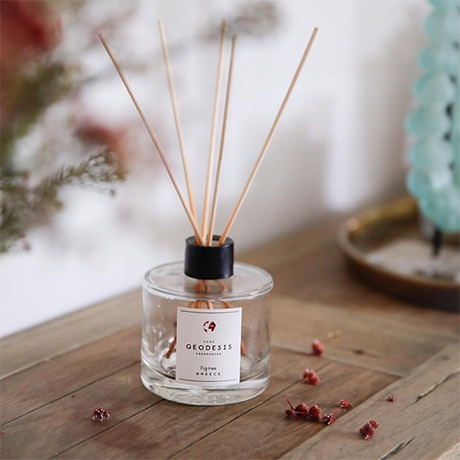 For 20 years, I’ve been guided by the search for excellence, expressed with simplicity and sobriety, to offer a novel range of scented candles, reed diffusers and room sprays. I wish you a wonderful journey full of dreams and emotions. Bergamot, Black Tea, Fig Tree, Rooibos, Neroli, Patchouli, Jasmine, Tuberose, Clove Tree and Sakura. 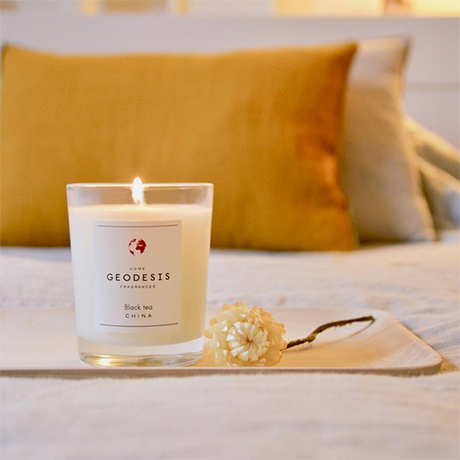 Introducing Vegetable Scented Candles: These new scented candles are made entirely out of an innovative vegetable wax composed of coconut and apricot kernel oil. They come packaged in original, trendy and vintage brown glass which is both beautiful and coherent. Fuego Lifestyle does not carry all items that are presented in the following catalogue. Please contact us on info@fuegolifestyle.com to request our most up to date Wholesale Price List, which details all available products.